It is not enough now in many working environments for powered access equipment to be fume-free, there is a move towards making it decibel-free as well. The Genie GS 3232 scissor lift, available for hire through JMS, typifies this drive to reduce unnecessary noise. The machine, says Genie, is “characterised by low noise levels”. With a maximum working height of 11.5 metres and 227kg carrying capacity, it also delivers excellent performance. Key industries, most notably aviation, now demand low-noise powered access equipment, with one of the main considerations being the need for optimum safety in busy, fast-paced, working environments. It is one reason why GS 3232 scissor lifts are a common sight in maintenance hangars around the world, where time is money in terms of getting aircraft back in the air, but tasks are safety-critical. Extra effort has been made to design out unnecessary noise from these work high-tech work environments. Not least, because maintenance engineers carrying our precision tasks must be able to communicate easily. Multiple teams work at the same time on the same aircraft, so ‘keeping the noise down’ is needed to maximise concentration and maintain operational quality standards. Reducing background noise also enhances workplace safety. There is a greater chance people will hear the sounds they must really take notice of, the movement alarms of machines like the Genie GS 3232 scissor lift, and other equipment, like access booms and cranes. 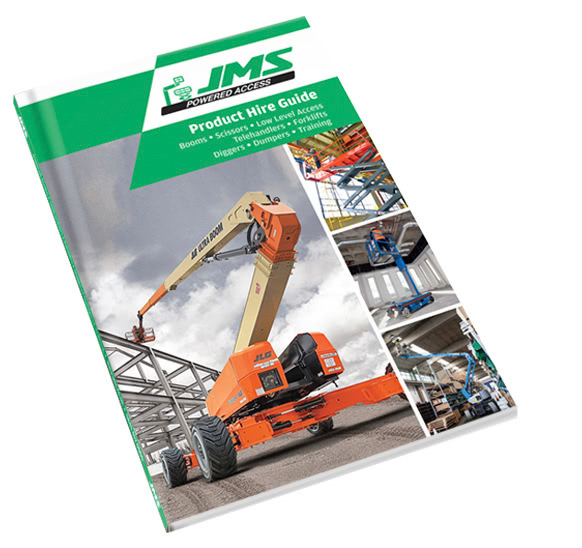 With all these factors in mind, there is growing demand for ultra-quiet equipment, including powered access machines, that contribute to a high quality, low noise working environment. 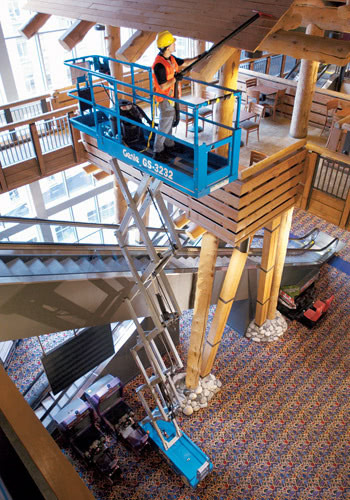 It’s a performance benefit that make GS 3232 scissor lifts ideal for other sound-sensitive environments, such as office buildings, shopping centres, hotels, schools, where they are used for building maintenance. With a working height of 11.75m (38ft) and a width of 2ft 8inches, the Genie GS 3232 is one of the tallest narrow electric scissor lifts on the market. Its compact design makes it ideal for working in tight spaces, and it can pass through standard single or double doors. The scissor lift provides excellent capacity at 500lb (227kg). The 0.91 metres (3ft) extension deck allows for the maximum platform workspace. It has an electronic control system, which provides better battery efficiency. The simple to operate joystick provides precise control. Is reducing noise of importance to your working environment?